This firewood is made from a mix of high quality hardwoods. 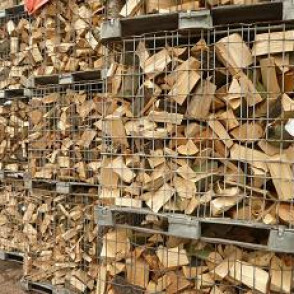 It is freshly processed (unseasoned), and will need stacking (indoors or in a log shed) for a few weeks/months, depending on the season, before it will be ready for you to use. Perfect to buy in the summer for you to store ready for the winter! The “Eco” aspect to this firewood is that it includes smaller and mis-shaped bits of hardwood that would otherwise probably have been processed into chip. This firewood will still burn really well and there is no need for a separate purchase of kindling.